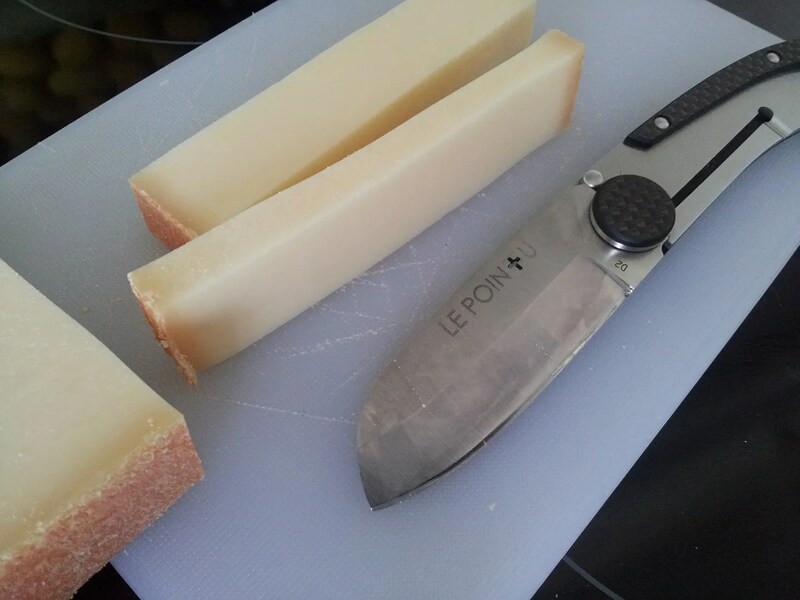 Le Pointu Minimal Luxe part II – Friendly, fun and reliable. Last year I have posted a glimpse about le Pointu and since it has been used almost daily. This knife is completly invisible to sheeples. The gently rounded blade and non threatning look are perfect for that. Also the “open” design makes it more a curiosity than a weapon. Good. Now how does it perform ? I simply love the knife. 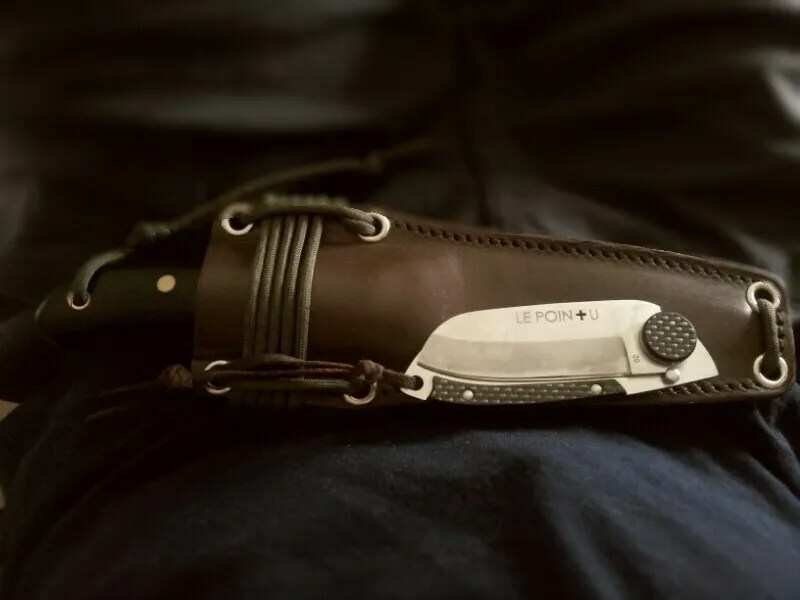 I was not a real fan of D2 Tool Steel (not my favorite steel to polish to a razor sharp as it prefers a coarse edge…) but here I recognized the heat treatment bring a very stone ceramic and leather stropping friendly knife. Not being stainless, the blade has develop a gentle patina with the vinegar of salad. This is something i always enjoy. You never know what pattern will be developped on the blade. The chisel geometry, once you have integrate it, is a joy to use. Like a single engine propellor plane, you need to use the rudder to cut straight in line. 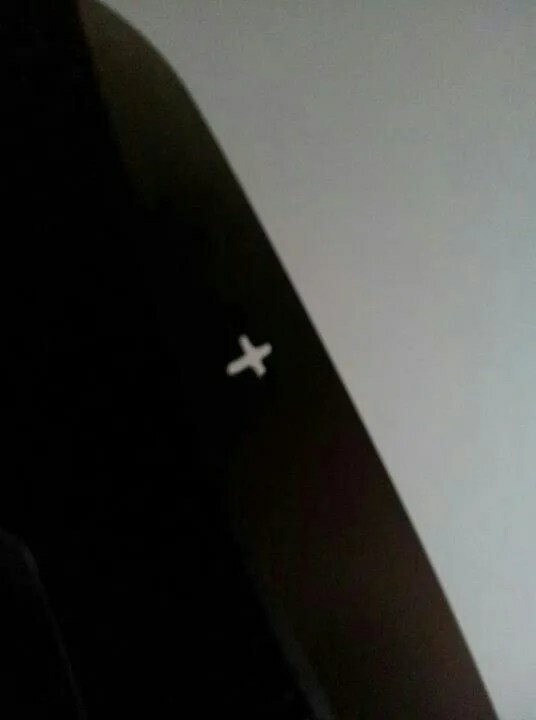 This adjustement is made instinctively. I was really surprised how depp it cut in wood. It is a joy to use for whittling especially as a draw knife. The chisel hollow grind is not “that” hollow. It’s almost saber flat ground. On the ceramic the D2 develop a nice burr, easy to eliminate on the chisel side by putting the blade almost flat on the stone. It’s very easy to get it back to razor. D2 as expected stay sharp a real long time and my Pointu keeps a working edge forever. The rounded blade is enough pointy for my task and I have found the 2,5 mm thick back of the blade very useful for scrapping and removing fat from meat for example. I have found a lot of use for that “non tactical” design. My Pointu has never let me down and was able to go threw every whore I put it in. Despite being flat it’s really confortable to handle and also really easy to clean. This is a great outdoor’s companion. I also enjoy the “spyder drop” possible on this knife. It’s easy to catch the blade between two finger and flick it open. I have use also Le Pointu hard. No blade play in any direction. The lock did not move forward after a year of use. Very very very reliable. I would not had expected that “open”/single liner construction to be “that” solid. So really I’m surprised and pleased on how great that flat gentleman folder is, especially in the woods and in the kitchen. 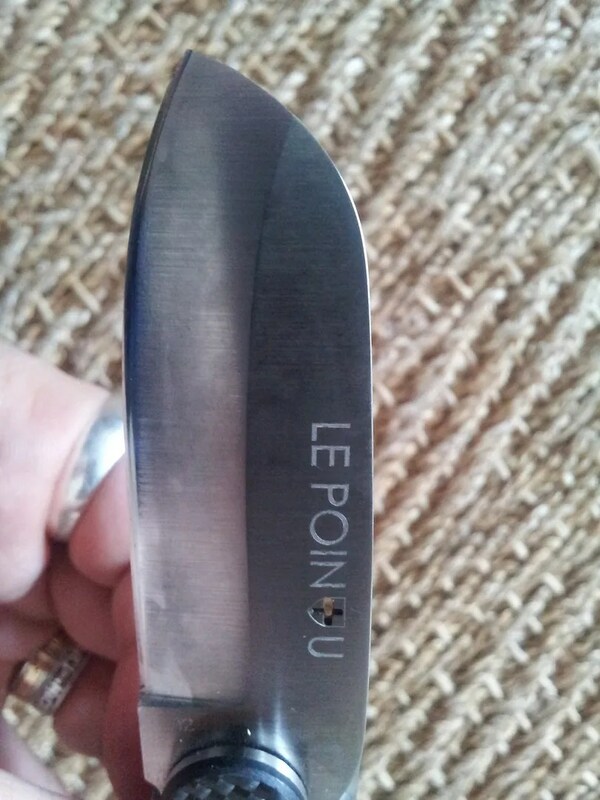 Great steel, great ergos, clever design… Le Pointu is still growing and me. 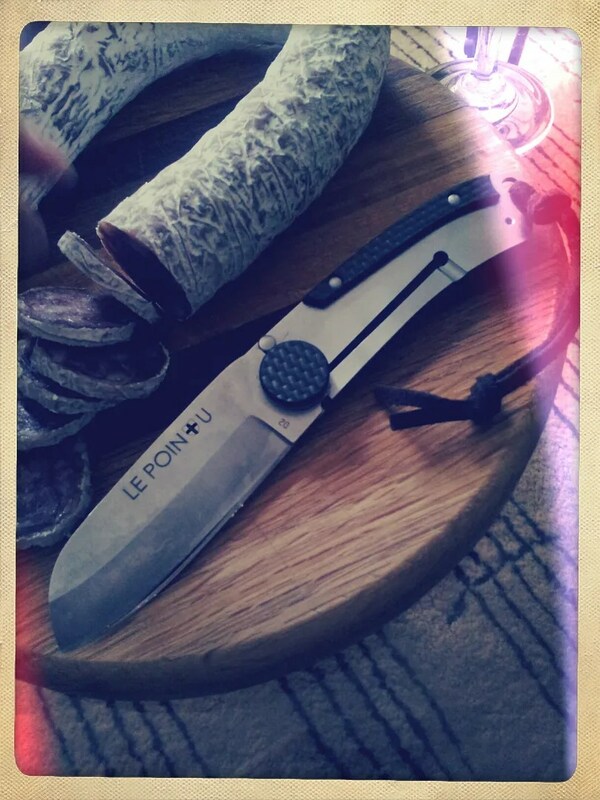 Kuddos Xavier Conil and Laurent Monnier your knife is fantastic.